I’ve been in Cincinnati, Ohio, since Wednesday evening, preparing with 25 cyclists to ride from Cincinnati to Washington DC. 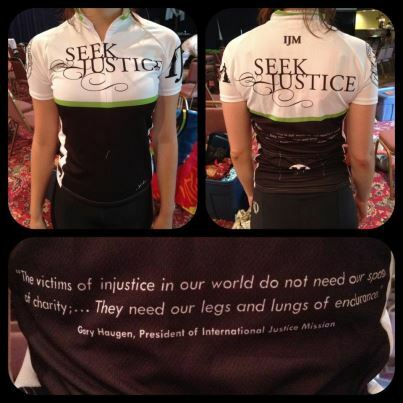 We are riding to raise awareness about modern day slavery and raise money for International Justice Mission (IJM) and their efforts in fighting human trafficking and modern day slavery today. 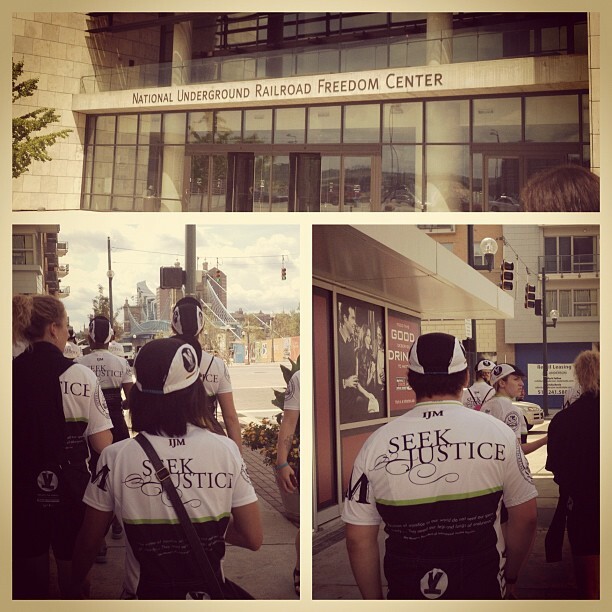 If you want to learn more about why I am doing the IJM Freedom Tour, check out this post. Wednesday, three of us were picked up in Chicago with the group driving one of the support vans from Minneapolis, MN to Cincinnati. Training began Thursday and during the last few days, we have learned the story of Venture Expeditions (the organization we are cycling with), and more deeply the vision behind their slogan “Benefit the world. Discover your soul.” I am so thankful for the leadership of this organization and the vision they so vibrantly pursue. 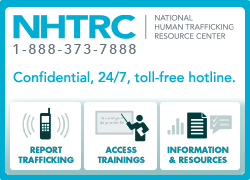 One of the most memorable days was when Karen, our IJM representative, spent the day with us, sharing with us the extent of modern day slavery, and also giving us the most up-to-date information on their efforts combating it. It was also hopeful hearing the impressive growth IJM has experienced in recent years, especially as a non-profit, despite the economy. The organization is so remarkable to me, because they approach global issues with such excellence and diligence. Every angle is taken care of, from rescuing victims of slavery, providing aftercare for those victims to even working on structural reform to ensure that it doesn’t happen again. It is a LONG, grueling process, but they are so committed to every aspect. They really are changing the world. There are more slaves today than at any other point in history–nearly 27 million children, women and men. Yesterday was also incredibly challenging emotionally and spiritually. 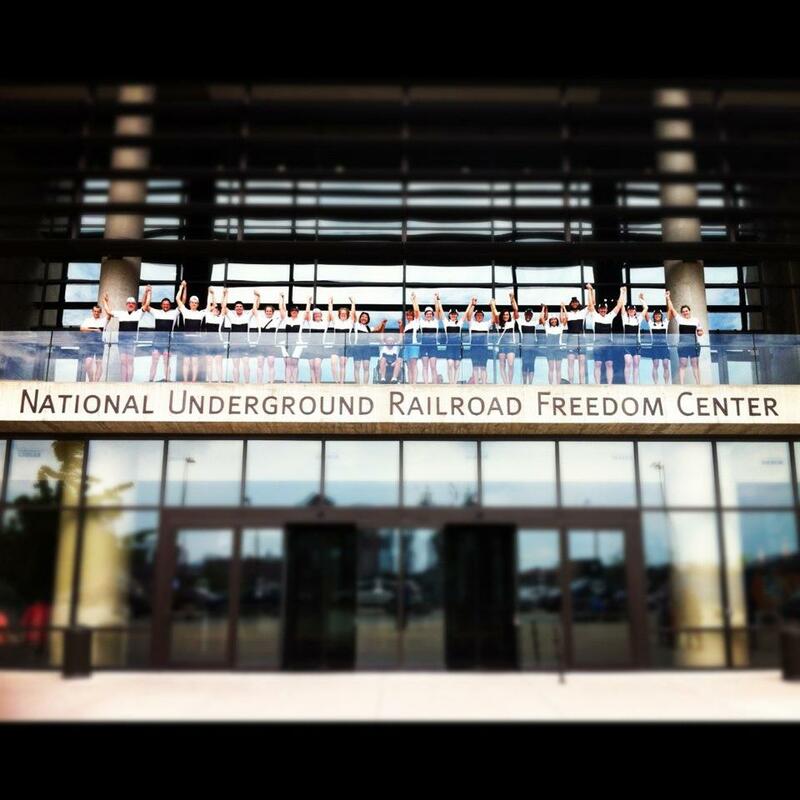 We went to The National Underground Railroad Freedom Center and not only walked through exhibits of past slavery, but they had an impressively-moving exhibit about modern slavery. It was incredible. If you’re ever in Cincinnati, Ohio, I HIGHLY recommend going. It will change your perspective. Tomorrow we embark on our journey to Washington, DC. 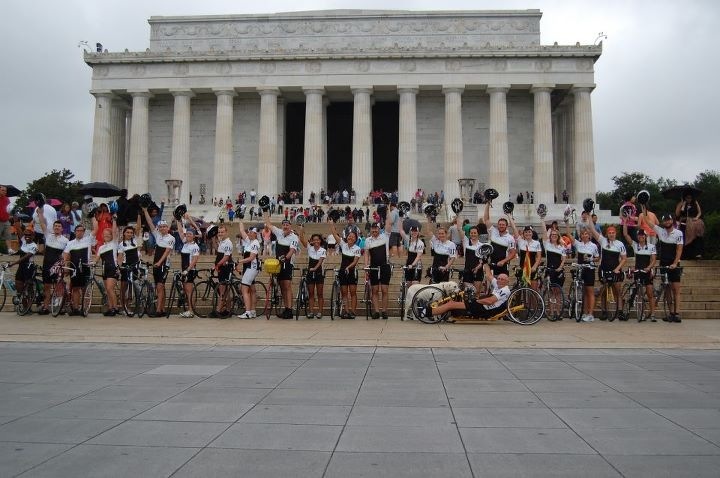 Cycling nearly 100 miles a day, through the Appalachian Mountains. Please pray for our perseverance and for our cause. Please pray that we remember those we are riding for. If people can be trapped in slavery, if women can be raped daily, if children can be bonded by labor, we can ride 500 miles on their behalf.